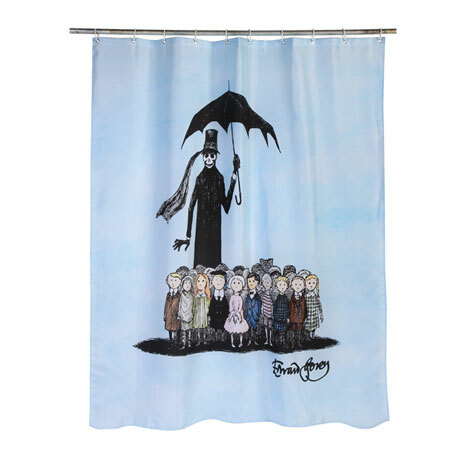 For the true Gorey fan: a shower curtain featuring an image from Gorey's twisted and tragic alphabet book ("A is for Amy who fell down the stairs...Z is for Zillah who drank too much gin"). All polyester and darkly hilarious. 71" x 74".